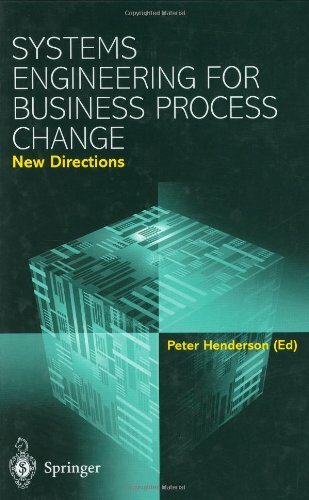 Systems Engineering for Business Process Change: New Directions is a collection of papers resulting from an EPSRC managed research programme set up to investigate the relationships between Legacy IT Systems and Business Processes. The papers contained in this volume report the results from the projects funded by the programme, which ran between 1997 and 2001. An earlier volume, published in 2000, reported interim results. Bringing together researchers from diverse backgrounds in Computer Science, Information Systems, Engineering and Business Schools, this book explores the problems experienced by IT-dependent businesses that have to implement changing business processes in the context of their investment in legacy systems. The book presents some of the solutions investigated through the collaborations set up within the research programme. Whether you are a researcher interested in the ideas that were generated by the research programme, or a user trying to understand the nature of the problems and their solutions, you cannot fail to be inspired by the writings contained in this volume.